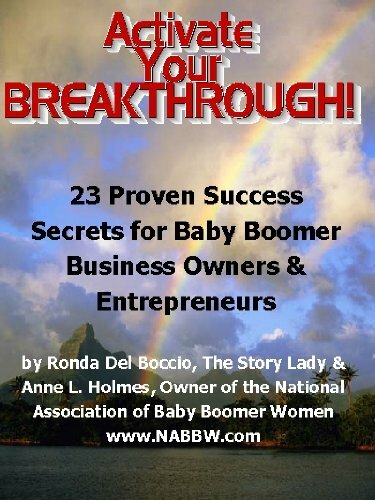 About ten thousand Baby Boomers are reaching retirement age every day in the United States. At least two-thirds of these Boomers must generate funds in order to financially survive. Many more simply wish to continue working, even if it is part-time. Many are planning to start a home-based business and are asking themselves, “What type of home-based business should I pursue?” An important aspect of this decision should be a feasible exit strategy that allows transition to full retirement at some point. The obvious way to launch a home-based business is to leverage one’s work experience, contacts and expertise to create an enterprise that can be run from a home office. In most cases, this is the fastest path to success. If you enjoy what you did career-wise, this approach is an easy extension of your prior job. Planning ahead, one can even establish consulting contracts with an employer or his clients. The result can be a smooth transition with minimal cash flow impact. Many Boomers, however, wish to launch a second career in a new arena, such as opening a bed and breakfast or becoming a teacher. This takes more investigation and planning, ideally accomplished well in advance of retirement. There are ample resources on the Internet (much of it free!) to assist with this process. For older Boomers who have found themselves suddenly unemployed, time is usually of the essence. Typically, they are seeking a source of income with little start-up time. Unfortunately, finding another job is difficult for 50-plus Boomers. There is rarely an easy road to riches. Moreover, launching a home-based business is a process that is usually accompanied by anxiety and mounting credit card debt. For those who make a successful transition to operating a home-based business, there is one more important consideration. At some point, they will want to really retire or at least cut back on their involvement in the business. Then, it would be nice to have something that provides ongoing residual or passive income. This goal should be part of the upfront planning in establishing a home-based business. Otherwise, it can be a costly and often devastating afterthought. If a home-based business or franchise establishes a profitable, verifiable revenue stream from contented customers, it can usually be sold. The profits can then be invested for passive income during retirement. Again, the business plan must include this as an ultimate objective and be implemented accordingly. If the business does not generate satisfied return customers, its “good will” value is minimal and finding a buyer or achieving a good sales price will prove difficult. There are other ways to generate passive income from home-based businesses. Membership and subscription-type businesses are good ongoing revenue generators. So are royalties from self-published eBooks. And carefully-screened MLM opportunities can yield continuing income streams as well. So achieving “retirement” may be as simple as transitioning the daily operation to a buyer or someone who is hired to manage it. The lesson is clear. If you create or purchase a business, do so with the objective of creating intrinsic value that makes it possible to sell – or step back from – the operation at some point. An “exit strategy” is an important consideration for any home-based business, and older Baby Boomers should plan for this. Al Kernek is a Internet marketing consultant, an author and a Baby Boomer. Learn more about issues facing Baby Boomers seeking to retire on a fixed income at www.BabyBoomerLifeboat.com which is also an online portal to Websites containing valuable information and resources for Baby Boomers. ← Are There Still Opportunities for Older Workers in Today’s Economy?